> Adopting new digital signal process(DSP)technology. > Advanced MCU control system. >Columnar dynamic display audio signal. > Perfect audio effect of CD sound. 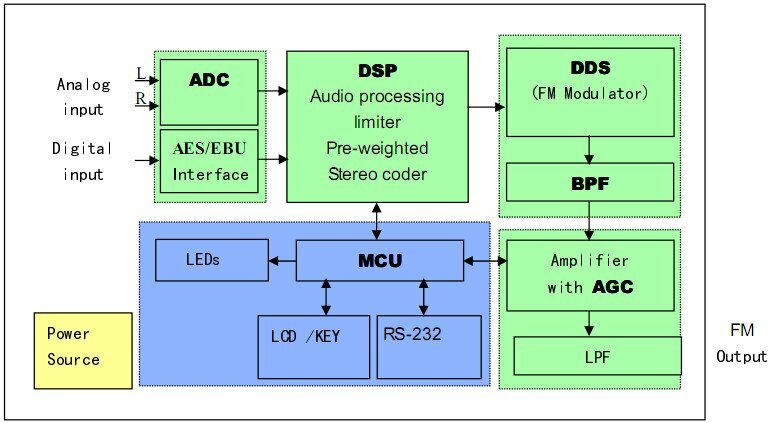 > Supporting AES/EBU standard digital audio input. > Electric control AGC controls the zero deviation of output power. > LCD can synchronously display the work parameters. > RS-232/485 serial communication remote control and telemetering. > 2U , 19-inch standard chassis structure. This is a new developed Car FM antenna specially designed for FM transmitters from 0~100watt. It has high gain and excellent performance. Frequency is adjustable from 88~108mhz. This entry was posted in 5-30W FM Transmitter, FM Transmitter, Products and tagged 30 transmitter, FM transmitter. Bookmark the permalink. Hello,This is Erin,the admin of tecsunradio website. Hope to know you,my friend. Scanning it to get my contact.